PT Mayora Indah Tbk, the producer of Kopiko, is expanding its business in the Philippines with an investment of US$80 million. In the current exchange rate of American dollar as of April 1 to Philippine peso ($1 = Php52.53), $80 million is around Php4.2 billion, a huge investment by any standard. Consider also that the Mayora Group since 2016 has already contributed around Php7.8 billion every year to the economy of the Philippines in forms of taxes to the government, employee salaries and benefits, as well as funds for its advertising and promotional activities. 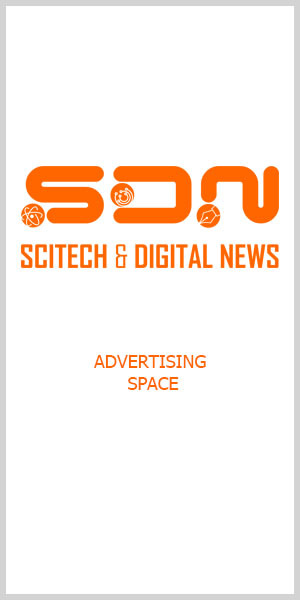 SDN — Science and Digital News learned about this during a press conference of Indonesian Trade Minister Enggarsiasto Lukita held at Makati Shangri-La, Manila, in Makati City, Metro Manila. The joint media briefing also included Department of Trade and Industry (DTI) Secretary Ramon Lopez and Department of Agriculture (DA) Secretary Emmanuel Pinol as wells as Indonesian Ambassador to the Philippines Sinyo Harry Sarundajang. A host of Indonesian and Filipino bigwigs in the business communities of the two countries were also present. In fact, there were three deals signed during the event held after Lukita, Lopez, and Pinol conducted a closed door bilateral trade meeting. Two of the Memorandums of Understanding (MOU) inked at the event are for the procurement of coconut products by Indonesia from the Philippines and a lease agreement for PT Mayora’s planned coffee plant. A statement issued by PT Mayora announced the company’s plans about its $80 million investment in local coffee manufacturing and processing operations over the next five years. The Indonesian food manufacturer signed a Memorandum of Understanding (MOU) with Lima Land, Inc. (LLI) for the lease of a property inside LLI’s Special Economic Zone in Malvar, Batangas, for the establishment of a plant. After its completion, the company said the manufacturing and processing plant in Batangas will help meet increasing demand for local consumption and exports. Estimates put the number of employment to be generated at around 3,000 jobs. This is on top of the current 4,500 jobs that the Philippine-based businesses of PT Mayora are employing. PT Mayora President Andre Atmadja thanked Filipinos for their patronage of his company’s products. “We thank our consumers in the Philippines for making Kopiko a successful coffee brand. Kopiko was developed with Filipino consumer in mind. It was locally designed to meet the Filipinos’ taste preference. And Kopiko has succeeded in keeping Filipino workers energized and productive each day — Buhay araw-araw (Alive every day)!” Atmadja said. With its flourishing business in the country, PT Mayora is giving back to Filipinos for their embrace of the Kopiko brand. “In recognition of Kopiko’s strong Philippine base, along with our growing business in the ASEAN region, we are expanding our manufacturing and processing operations beyond Indonesia — into the Philippines. We look forward to the many opportunities that this landmark project will deliver, particularly in the area of job creation and in enabling greater contribution to the Philippine economy,” said Atmadja. The Kopiko producer’s plans in the country also include helping boost business in the country as PT Mayora will source desiccated coconut and RBD coconut oil from a number of Philippine producers through an MOU signed during the press briefing. Obviously, it is another way of the company to fulfill its corporate social responsibility (CSR) and its giving back to Filipinos, as it understands the responsibility that comes when operating in any community. And that includes getting involved in socially relevant efforts. In times of calamities, PT Mayora and its business partners mobilize its employees to collect and distribute relief goods to affected communities. Meanwhile, Lopez said the MOUs signed at the media briefing “will open up the Indonesian market to some agriculture products such as banana and, hopefully, later other agriculture products. The DTI chief also welcomed the investment of PT Mayora in the country. He also spoke about ways on how to improve the trade relations between the two countries and also minimizing the trade gaps (a deficit for the Philippines. “The signings that we witnessed this morning are steps in the right direction of welcoming more Philippine products from Philippines to Indonesia,” he said. One immediate result of the visit of Lukita’s trade delegation is the agreement between two parties for the export of Philippine banana to Indonesia. Pinol welcomed this positive development, as he also mentioned in the bilateral meeting the issue of big volume of Indonesian palm oil coming to the country. The DA chief echoed Lopez’s statement on the trade deficit, saying it has “reached US$5.8 billion” in favor of Indonesia. Pinol revealed that in the area of agriculture Indonesia is exporting to the Philippines $1 billion worth of commodities, especially palm oil and coffee, the Philippines, on the other hand, is exporting goods to Indonesia only $1 million. 1. The concern of the Philippines on the huge volume of Indonesian palm oil entering the country that is affecting the coconut industry. In response to this, Indonesia and the Philippines agreed to form a technical working group (TWG) so that we will be able to rationalize our supply and export of palm oil. 2. Philippines and Indonesia also agreed to establish a federation of palm oil producers in this region to be able to counter the negative campaign against palm oil in Europe and other parts of the world. In doing so, the two parties are hopeful they will be able to promote the sell of palm oil to other parts of the world and ease the over-supply coming to the Philippines, which would be a boon to coconut farmers. Malaysia, Indonesia, and the Philippines agreed last week to form a TWG during separate visits to DA by the representatives of the two countries’ representatives. 3. Also today, the DA secretary raised with the Indonesian trade minister the almost futile efforts of the Philippine government to penetrate the Indonesian market with banana, which was resolved in the meeting, and export of banana will soon start.